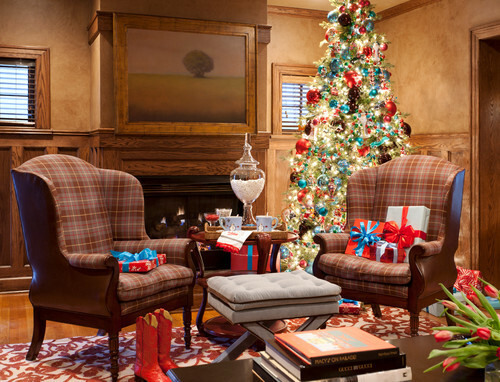 By Design Interiors, Inc. | Houston Interior Design Firm — Holiday Decorating at it's Finest! It's that time of year again, that we need to start decorating our house with festive decor. 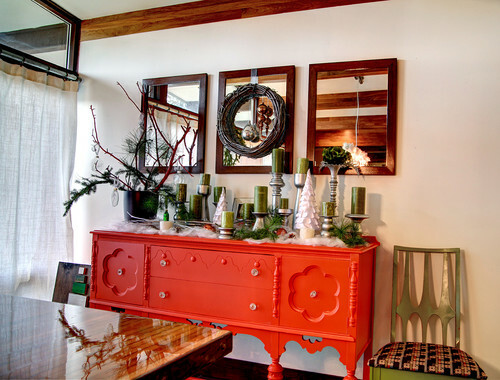 This year try changing it up a little by rearranging and repurposing. Also, adding a few new items can change the whole appearance. 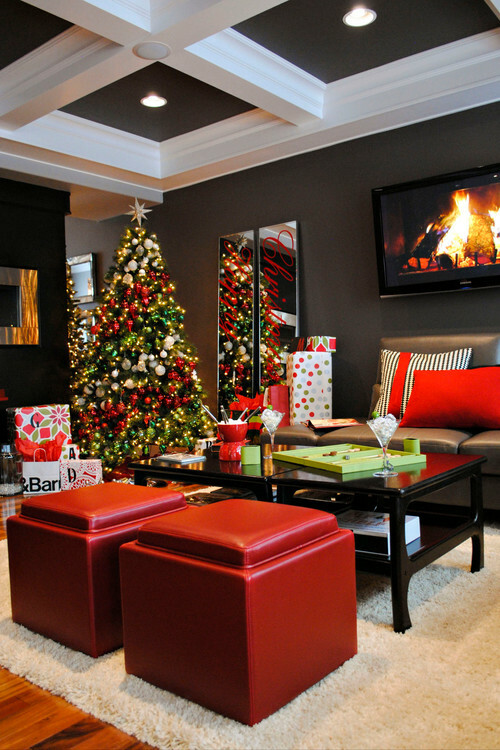 Here are some great ways I found to add the holiday cheer to your home! 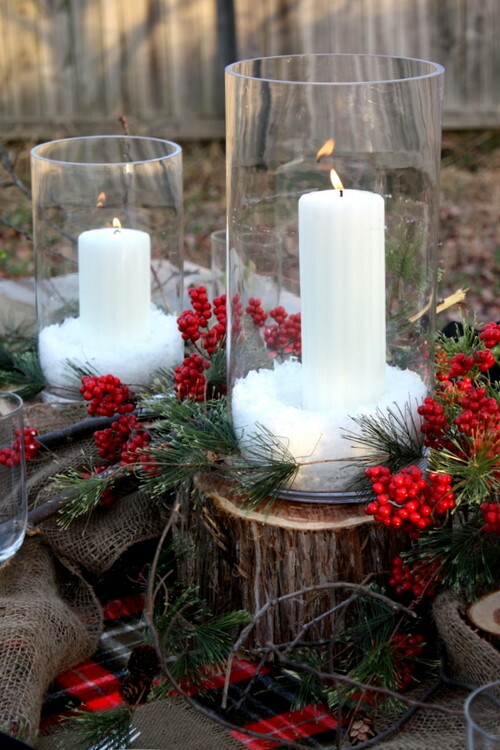 Repurpose your hurricanes and glass vases by adding "snow" and a candle. 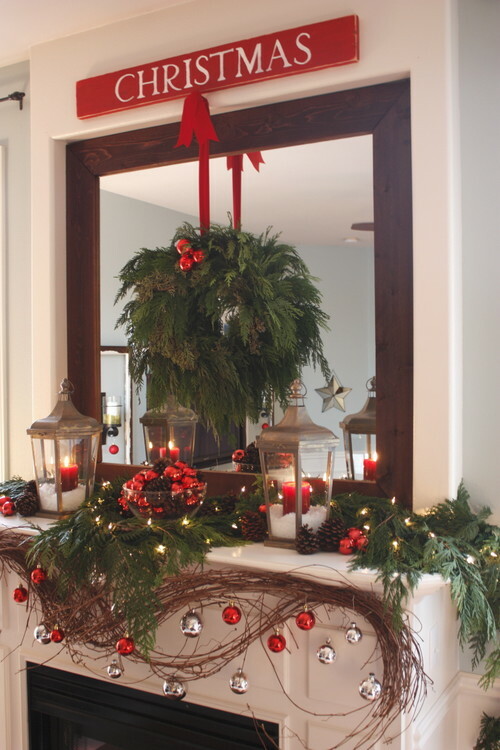 Instead of hanging your wreath on your front door why not try and hang it over the fireplace or on a mirror? Now this was creative...hanging your ornaments in bands of color that appear to wrap around the tree! Love this! I love the pop of blue that they added with the traditional red to mix it up a little. Then they wrapped presents in coordinating paper to keep the color scheme going. This is just so unique that I had to share! Interested in commercial holiday decorating services. Please reach out via email so we can talk further!